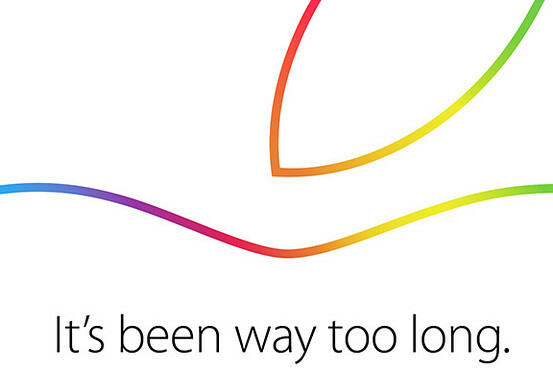 Apple is set to take the stage on Thursday, October 16, 2014 at their main campus in Cupertino. Referred to as the Townhall, it serves as a smaller location for special events. This will be the final event of the year with a couple of new products and surprises to be unveiled. The venue selection is on the complete opposite side of the spectrum compared to their September Event that was held just over a month ago. The Flint Center attracted thousands of attendees to be a part of the iPhone 6 and Apple Watch announcements. A smaller crowd in the hundreds will gather this time to see what Apple has in line for the rest of the year. The holidays are just around the corner and consumers are waiting to see what the big ticket items will be to purchase for themselves or as gifts. The next generation iPad is planned to be the main highlight of this event. Internally named as the iPad Air 2, it will feature a Touch ID fingerprint sensor, NFC for Apple Pay, and possibly an iPhone 6 related design. Considering that the iPad Air was the first design change since the iPad 2, it will be interesting to see if they revise it again so quickly. The only way it will make sense is if the iPad Air accessories are compatible with the new model. Tech specs will include a modified 64-bit A8X processor, 2GB of RAM, an enhanced camera system, and the same storage reconfiguration as the iPhone 6. The processor could be upgraded to quad-core, as all previous models have only been dual-core. While this hasn’t limited the iPad in performance, applications and features in the near future may require it. A unique characteristic revealed by leaked parts lead to the mute switch being removed. The iPad Mini will also see a refresh, featuring the same design change if the iPad Air adopts it. Considering that the Retina iPad Mini has the same resolution as the full-size iPad, the same internal upgrades will apply. The long-rumoured 12″ iPad Pro may see the light of day at this event, although all reports are saying it has been delayed into 2015. This product will branch out into the multi-window functionality that has been recently implemented into devices from competitors. A new release of iOS 8 could integrate this feature into current models, but may be limited to the new generation because of hardware capabilities. iOS 8.1 will be mentioned that includes Apple Pay alongside other small refinements and additions. These new iPads should be released on Friday, October 24. The last major reveal will be with the Mac platform. New minor refreshes are planned for the standard iMac lineup, but may not be announced at this event. The caption on the invite leads industry experts to believe that it’s referring to new Mac categories. The Mac 30th anniversary image shows an exact replica of the coloured Apple logo. There are a two key areas where the Mac could be reinvented. The first is a Retina enabled iMac, which has been hinted at in OS X Yosemite’s system files. A 12″ Retina Macbook Air has also been in the works for some time now and could be revealed at this event. The second option is an overhauled Mac Mini, as it hasn’t seen an update since October of 2012. I had envisioned a redesign similar to the new Mac Pro when it was unveiled last year. Other than the Apple HDTV, there are no more long-awaited rumoured surprises left. It will certainly be an event to remember with just the products listed above. The iPhone 6 has smashed records since it’s release less than a month ago. Apple has proved that they’re focused now more than ever to surprise customers with amazing products. A live stream of the event has been confirmed for 10AM PST or 1PM EST over at Apple’s Live Events page. Join us after the event for a full recap of all the new products announced.